Digital video (i.e., streaming, or in-stream, and display video or out-stream) continues to grow in popularity thanks to advancements in technology—both in performance capabilities and the overall availability of video content across a flourishing ecosystem of screens and platforms. The scope and capabilities of video advertising are expanding thanks to ever-improving ad-serve technology and increasingly creative technical specifications. The Interactive Advertising Bureau (IAB) updated its Digital Video Suite of technical specifications in 2015, establishing a revised set of video ad formats to further enable cross-screen ad portability. On that note, the next section outlines the differences between video in-stream ads and display video: two ad formats that require different resources and technology. These different forms of display video are normally served in a display ad placement that may or may not use a player to receive and execute the ad. The key difference between in-stream and display video ads is that display video ads play in an ad placement where the core content is non-streaming. In cases where display video is served, the viewer visits the page expecting to read, check social feeds, or otherwise interact with a site where video or in-app streaming content is not anticipated. For instance, a site visitor may login to a social-feed website intending to review peer-generated content. 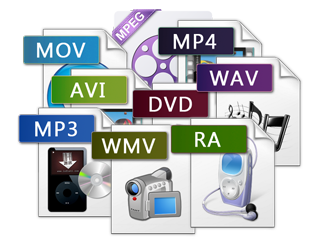 Peers may post videos, but the videos are a subset of the overall content. In this example, display video ads are posted in the viewer’s social feed (i.e., in-feed) as a stand-alone video ad. Digital video in-stream ads are served into and executed within a player. That is, the audience is shown an ad in the context of streaming content in an environment where they were expecting video or in-app streaming content. This next section explains in more detail the current in-stream video ad formats. These ads are typically presented in video format and interrupt streaming-video content much like a TV commercial. They can play before (pre-roll), during (mid-roll), or after (post-roll) the streaming content. Linear ad formats are sometimes accompanied by a companion ad, or they can include an interactive component. These video ads are normally served as images that “overlay” the video content. In other words, a nonlinear ad will run concurrently with the streaming content so that the user sees both the content and the ad without interruption. Ideally, a nonlinear video ad is small enough to allow a relatively unobstructed view of the content. Nonlinear video ads are delivered as text, static images, interactive rich media or as video overlays. Typically, a nonlinear video ad developer can take advantage of the medium and use the small overlay as an invitation to consumers to further engage with a more robust set of interactions. As with linear ads, nonlinear ads are occasionally served with companion ads. Companion ads are ads that are served along with linear or nonlinear ads in the form of text, static-image display ads, rich media or skins that wrap around the video experience. These ads come in a number of shapes and sizes and typically run alongside, or surrounding, the video player. The primary purpose of a companion ad is to showcase a sponsor throughout the streaming video experience. Digital video companion ads are always served with a master ad, which is either the linear or nonlinear ad. Digital video content is booming in popularity. eMarketer estimates that US digital video ad spending will reach $7.77 billion in 2015, up 33.8 percent year over year and representing 13.3 percent of all digital ad dollars in play. Advertisers currently face hurdles involving an overall lack of standards related to targeting, measurement, implementation and best practices, according to eMarketer.